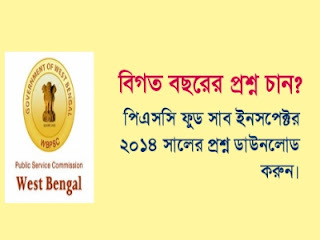 Are you looking for West Bengal Food Sub Inspector Exam Previous Year Question Paper? If yes here is the best place for you. Here you can download WBPSC food sub-inspector Exam Question Paper. Most of the Bengal students waiting for this exam. We suggest you, make a timetable and start to practice daily. 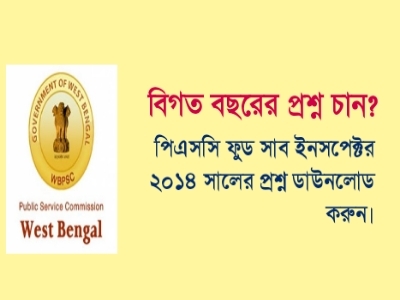 Today GK Solve share West Bengal Food Sub Inspector Exam Previous Year question Paper 2014 pdf file download link. Details of question Paper and download link are given below. You must download this previous year paper and practice. WBPSC Food Sub Inspector previous year Paper below here. Hope, this post is really helpful to you.